If you have suffered a severe personal injury in Coral Gables, you may be entitled to recover money damages. However, your ability to recover is limited by time Therefore, it is crucial that you consult with the best Coral Gables personal injury lawyer that you can call as soon as possible. The Wolfson Law Firm is here to help you. If you or a loved one has been injured in any kind of accident in the Coral Gables area, make sure to call our Coral Gables personal injury lawyers for assistance. For free consultations, call the Wolfson Law Firm at (305) 285-1115 and tell us about your case. With over 50 years of experience in personal injury cases, our attorneys understand how to help injured victims. When you call us, we will discuss your case and present you with plans of action. After your questions are answered and you understand your options, you can decide your next steps. You may be entitled to recover financial compensation, including medical costs, loss of wages, loss of future earning capacity, scarring, disfigurement, pain and suffering, and other types of damages, depending on the details and facts of your case. If you decide to allow us to represent you and your family, know that we handle cases on a contingency basis. This means that you do not pay us unless and until we recover damages for you. You can call and consult with us for free at (305) 285-1115. 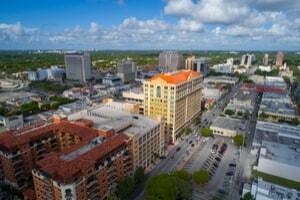 Known as one of the first planned communities with meticulously designed town center, Coral Gables is a bustling town. It is the home of the University of Miami, which is located just south of downtown Coral Gables. It is also known as the Fine Dining Capital of South Florida with over 100 dining establishments and numerous high-rise office building. Call the Coral Gables accident lawyers at the Wolfson Law Firm if you or a family member were injured in an accident. Since 1963, our accident attorneys have served victims of negligence throughout Florida and we are here to help you as well. Just call us at (305) 285-1115 for your free consultation and let’s figure out what the best course of action is for you.